Whether you travel often for work or you have a big trip in the books in the upcoming months, it’s important to know how to handle a dental emergency while traveling if it were to happen. At Santa Rosa Dental, we have patients who visit us and travel to places around the world, we try our best to educate them about their dental health and what to do in the case that an emergency does happen. Before you embark on your next adventure, find out some of our top tips on how to prepare for a dental emergency while traveling from your Santa Rosa dentist. The best way to prepare for a potential dental emergency when traveling is to simply be prepared! This means knowing what to do in any situation that may arise. Although the last thing we think about before going on a vacation or business trip is what if you break your tooth, other what-if scenarios, it’s important to know that they are more likely to happen than not. For example, you might be hiking the Inca Trail when you slip and fall and your tooth falls out, or you might be enjoying a fine meal in Paris when you slip and chip your tooth on the fall down. Whatever odd scenario you might end up in, the best way to handle the situation is by being prepared in the first place. Before you leave for your trip, we recommend speaking with your insurance company to find out if they cover dentistry in other cities or countries. If not, look into getting travel insurance that can cover both medical and dental situations. This will lead you to your next step. After you settle your dental insurance abroad situation, this is when you should begin looking for an emergency dentist in every city you’re staying. Try to find emergency dentists that are open 24 hours a day in case an emergency hits you at the wrong time. Make a list by writing down their business name, address, phone number, hours and website. This will be something you want to carry in your wallet just in case! It might also be smart to write down the address and phone numbers of local hospitals or doctors as well while you’re at it. You never know when you might end up with a non-dental medical emergency. Keep this list with you at all times! Before your trip, we recommend scheduling your bi-yearly dental exam just weeks before. If it’s not the time for your exam but you have some concerns about your teeth, we recommend visiting anyways. During your exam, we look for potential problems in your mouth. It’s better to catch these problems before you leave, that way you don’t spend your vacation in questionable pain. If we see any problems, we will make sure they are tended to before you leave. With a dental exam and cleaning out of the way, you can go on your trip without worrying about your teeth causing you pain. Another way to prepare for dental emergencies while abroad is by bringing all of your dental appliances with you. This means your retainer, mouth guard and night guard. If you just got your braces off, you don’t want your teeth shifting back to their old position while you’re away on vacation. Bring your retainer and make sure you use it! If you plan on playing any contact sports while you’re away, definitely don’t forget your mouth guard. This will save you from losing a tooth at the wrong time. If you suffer from bruxism or clenching or grinding your teeth at night, make sure you bring your night guard. This will save you from jaw pain and headaches during the day. Lastly, if you have sleep apnea, definitely don’t forget your oral appliance or CPAP machine otherwise you will snore throughout the night and not feel rested enough to explore during the day. These are simple ways to protect your teeth and overall health from declining while you’re away. We know that half the reason people love traveling so much is that they get to try new cuisines and eat without feeling guilty! We recommend that patients still try to be a bit mindful of their diet while they’re abroad, however. This means that if you’re going to overindulge on sugar and sweets to brush your teeth more often and to at least wash it down with some water, otherwise, you might develop a cavity on this trip. In addition, make sure you avoid chewing on ice and other hard things that can potentially break your teeth. Traveling isn’t the time to find out if your teeth can chew a jawbreaker. If you have braces, make sure you still avoid eating the items that can break your brackets, otherwise, you’re going to spend your trip with broken braces. If you happen to experience a toothache while traveling, this can be due to a few things. For one, if your tooth hurts while you’re flying, this is due to the pressure in the air. When flying, this can cause your teeth to expand, while the restorations in your teeth do not. As a result, your teeth become more sensitive. This should go away after you land and the pressure standardizes. 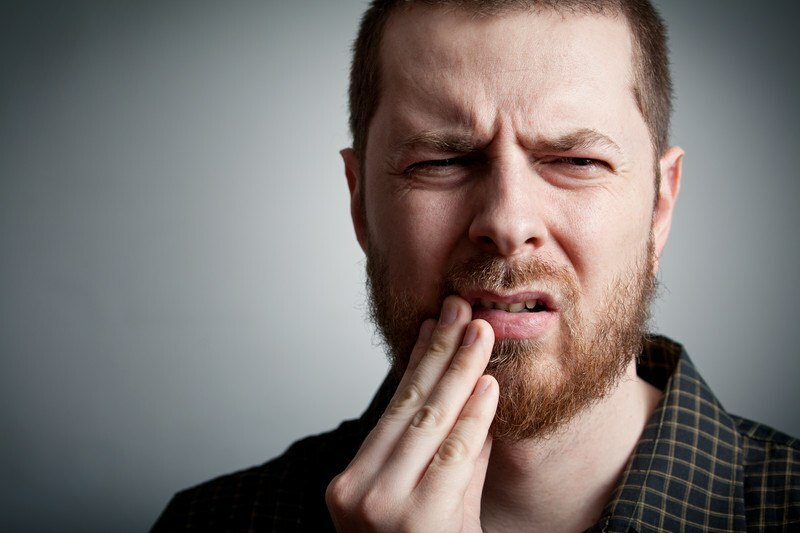 If your tooth is hurting during another time, we recommend that you first brush, floss and rinse out your teeth as something could be stuck in there. If the pain still does not go away, take some over the counter pain medication and try to stick it out until you get home. If the pain becomes too much, please visit a dentist. In the case that your teeth become dislodged, knocked out, broken or cracked while on your trip, this is the main reason you should visit an emergency dentist while abroad. If your tooth becomes knocked out, clean off the tooth with water while making sure not to touch the root. Place the tooth in a cup of saliva or milk and visit a dentist immediately. The longer you take, the less likely your tooth will be able to be put back in. If your tooth becomes dislodged, cracked, or broken during your trip, find your way to a dentist as soon as possible. If you’re leaving for a trip soon, it’s important to be prepared for dental emergencies while traveling. Make sure that your teeth are as healthy as possible before leaving by visiting Santa Rosa Dental for an exam today. Please give our Santa Rosa dental office or fill out our online contact form to request an appointment or to learn more about dental emergencies.